Our colleagues from BIRA-IASB announced a new reference solar spectrum based on SOLAR/SOLSPEC observations on board the International Space Station. Such a spectrum provides fundamental input for research in e.g. solar physics and climate change. Indeed, the role of solar variability on climate change remains a topic of strong scientific and societal interest. 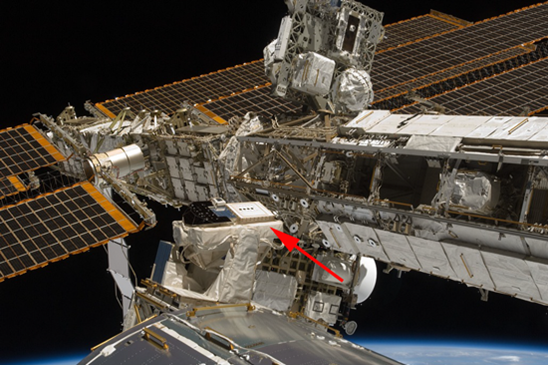 An international scientific team, with an important role for the Royal Belgian Institute for Space Aeronomy (BIRA-IASB), has accurately determined a new solar reference spectrum from measurements made by the SOLAR/SOLSPEC instrument on board the International Space Station. SOLAR/SOLSPEC is the result of a long collaboration between the Laboratoire Atmosphères, Milieux, Observations Spatiales (LATMOS) and the Royal Belgian Institute for Space Aeronomy (BIRA-IASB) that already made possible to measure the solar spectrum from several space missions (ESA and NASA). The SOLAR/SOLSPEC instrument data will also be used to track the spectral variability of solar irradiance over nearly a solar cycle (from 2008 to 2017). These are essential and valuable data for modeling the Earth's climate with climate chemistry models of the atmosphere. The full press release, as well as a picture of the new reference solar spectrum, can be found on the dedicated BIRA-IASB webpage. The source paper Meftah et al. (2017) has been published in Astronomy and Astrophysics.